Hey, Lady Grey: Be Brave.... Try Mint Pesto! Be Brave.... Try Mint Pesto! Did you know that mint pesto is absolutely delicious?! I didn't know that until last night. But now I'm in on the secret. It was so tasty and refreshing... something altogether different from basil pesto. You definitely should try it sometime. Serve over pasta, with fresh parmesan. I also sprinkled cooked peas on top, which gave it a nice sweet bite. great idea! I've never made mint pesto before and must try it this spring. 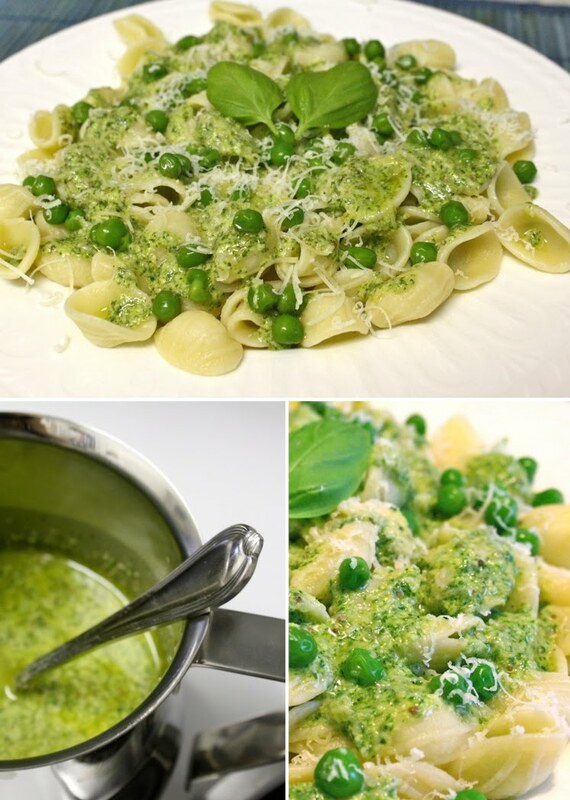 The peas are a nice touch too, so perfect with the mint. Mmmm. I've never tried mint pesto. This looks delicious! That sounds really good! You would probably like this too! I made it with my salmon and it was SSOOOO good! http://allrecipes.com/recipe/mint-chutney/ Thanks for sharing this - I will definitely try it!